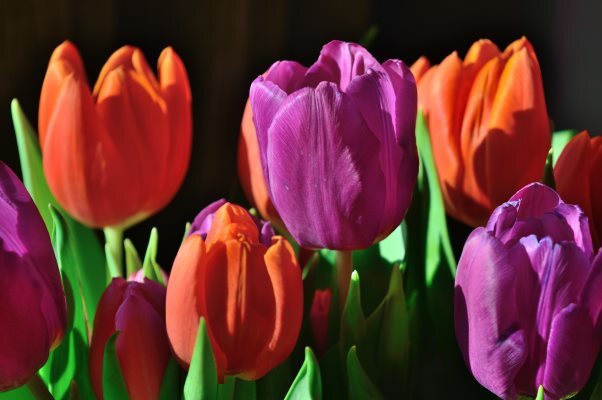 Putting Your Home Through a Spring Checkup! Spring is a great time to put your home through an annual checkup, here are some of the things to look for! While your Spring Checklist may include cleaning out the gutters and changing the filter in the HVAC system, make sure you don't overlook other common hazards. It is important to do a thorough check of your property for hidden damage that may have been caused or worsened by the winter weather unbeknownst to you. During the winter months, the harsh temperatures and weather can lead to roof leaks and stressed plumbing. It's important during the check to look for any signs of damage or water intrusion. Things to look for include stained ceilings, warped flooring, and any signs of stress, bulging, or corrosion on plumbing, particularly copper plumbing. Any plumbing issues found during your Spring Check should be addressed by a plumber as not to lead to a bigger issue later. 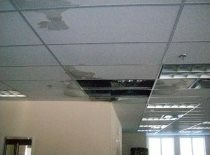 If Water Damage is found, it is recommended to call a professional mitigation company as this may be indicative of a larger problem. Often, what you see is only a small part of the problem. 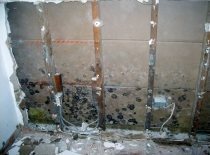 Water and moisture can be hidden in wall cavities. Water damage not properly dried and mitigated may result in further structural damage, mold growth, and rot. This makes prompt and appropriate response very important. When a house is sealed throughout the winter, humidity can be trapped and encourage Mold Growth. Due to the nature of mold, it can spread quickly under the right conditions, possibly contaminating previously unaffected areas. Mold has been attributed to various health problems depending on an individual's allergic reaction and should be dealt with properly. There are different degrees of contamination and a mitigation company can tell you what steps may be necessary to remove the mold from your home as well as addressing the underlying issue so that it doesn't return. 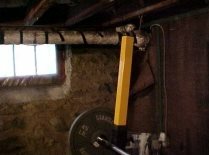 While Asbestos Pipe Wrap or Floor Tile in good condition may not be cause for concern, the cold weather may encourage condensation and deterioration of these materials, which could result in an airborne release of Asbestos fibers. Given the well documented health hazards exposure to Asbestos fibers may cause, prompt response is strongly advised any time Asbestos is found to be damaged in any way. Common places where Asbestos containing materials can be found include, but are not limited to, pipe insulation, boiler cement insulation, floor tile, and vermiculite insulation. These materials, to be considered in good condition, must be free of any damage or breakage, must not be falling or drooping, or wet. Should you discover Asbestos that is in poor repair, it is recommended to seal off the area from occupants, and contact an Asbestos Abatement Contractor properly licensed by the State of Pennsylvania to perform Asbestos Abatement Services. A properly licensed Asbestos Abatement Contractor will be able to go over available options for you, and to perform this work safely and without risk of cross contaminating unaffected areas. Radon levels fluctuate throughout the year, often spiking in the winter months as the house gets closed up and the furnace runs. For this reason, Spring is a great time to test for Radon and ensure that you get an accurate idea of the Radon average in your home. Testing is relatively inexpensive, and the only way to determine if you do have a Radon issue, as the gas is colorless, odorless, and tasteless. 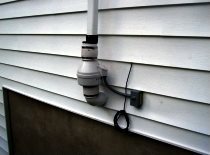 Being the second leading cause of lung cancer in the country, should your Radon level be above the acceptable range, it is strongly recommended by the EPA to have a Radon Mitigation System installed by a properly licensed and trained Radon Mitigation Company. While you may already have a Spring Checklist in place, adding these steps can improve the health of your indoor environment so you can enjoy the warmer months healthy and safe. Should you have a need of our services during your Home Checkup, please do not hesitate to Contact Us! *This story originally appeared in the April 2016 issue of Connections Magazine, as part of a monthly contribution made by Disaster Blaster, Inc. Please check out the current issue of Connections Magazine for this month's story!